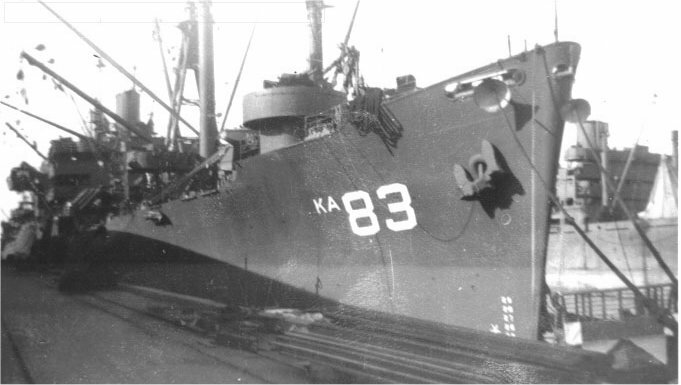 Laid down, 20 June 1944, as a Maritime Commission type (C2-S-AJ3) hull, under Maritime Commission contract (MC hull 1393), at North Carolina Shipbuilding Corp. Wilmington, N.C.
Acquired by the US Navy from the Maritime Commission, 7 September 1944, and towed to her conversion yard at Baltimore MD. 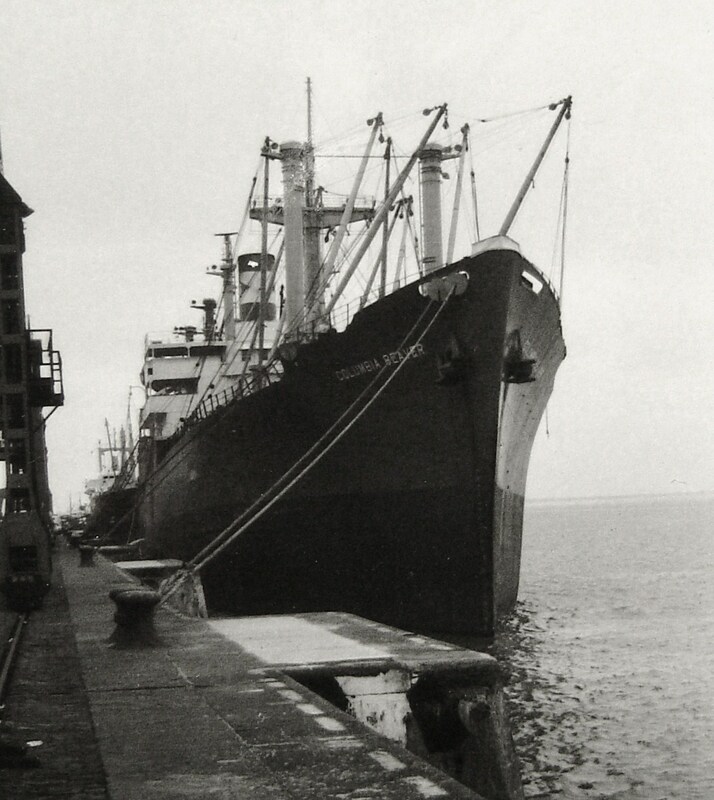 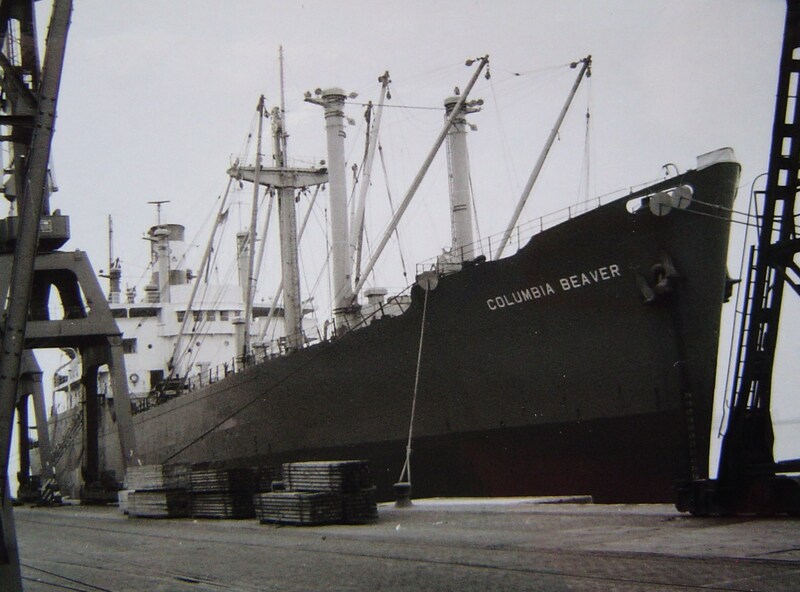 Returned to the Maritime Commission, 17 March 1946, for lay up in the National Defense Reserve Fleet, James River Group, Lee Hall, VA.
Withdrawn from reserve, 28 November 1946, for reconversion at Bethlehem Steel Shipyard, Baltimore, MD. 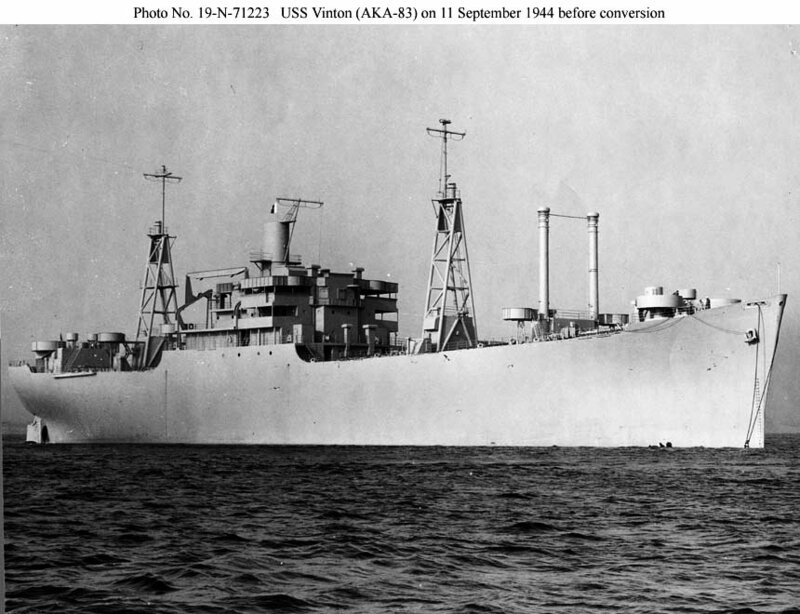 110k The 95% completed USS Vinton (AKA-83) under tow from her builder's yard, North Carolina Shipbuilding Corp. Wilmington, N.C., to her conversion yard, Key Highway Plant, Bethlehem Steel Co. Baltimore, MD., Vinton departed Wilmington, N.C., 8 September 1944, under tow by the War Shipping Administration's large seagoing tug Trinidad Head and arrived at Baltimore, 11 September. 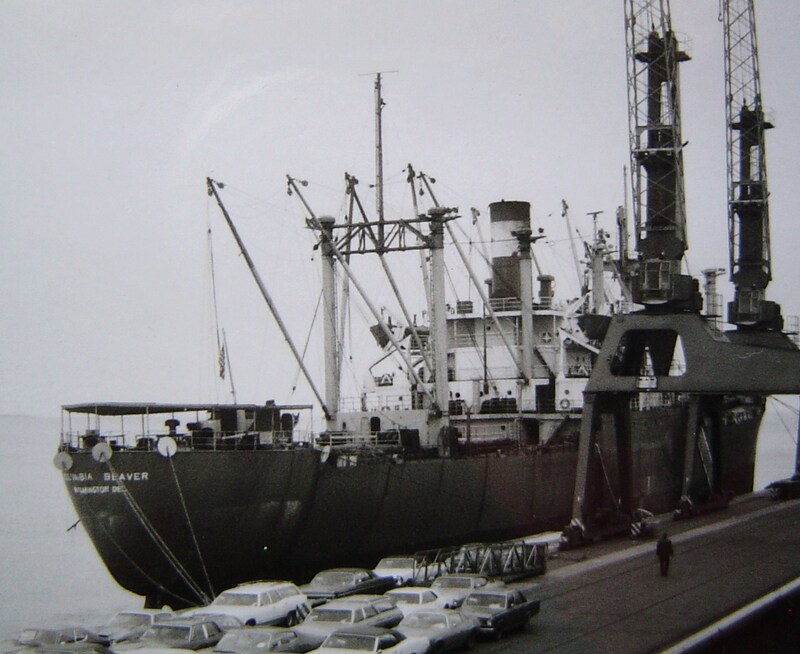 She is shown in Chesapeake Bay off Hawkins Point just before conclusion of the tow. 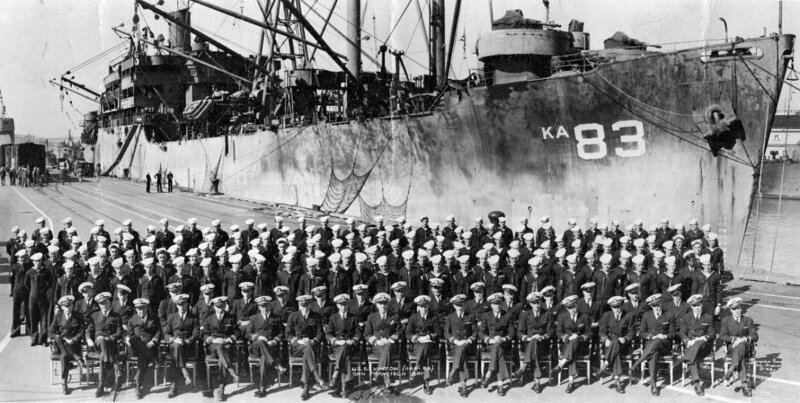 294k USS Vinton (AKA-83) officers and crew, San Francisco Bay, CA, circa 1945.